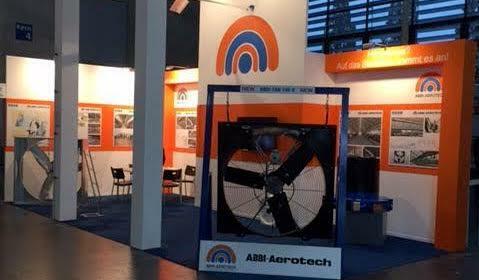 Abbi-Aerotech » Abbi-Aerotech presented super energy efficient Abbifan 140-XXP at the Eurotier in Hannover! Abbi-Aerotech presented super energy efficient Abbifan 140-XXP at the Eurotier in Hannover! We were very proud to show our new Abbifan 140-XXP at the Eurotier in Hannover. This Abbifan is unique product in the market and has no analog. The audience was enthusiastic about our new product and we received many positive responses and requests for quotations. Together with the Abbifan 140-XXP, we also introduced our milking parlour and tube ventilation systems. All these new products are designed to prevent heat stress, realize the optimum ventilation, create fresh and cool air as well as give less fly problems in the barn. The biggest advantage of our new products is the low energy consumption. The visitors at the Eurotier 2016 were very interested in what we presented. If you want to know more about our latest technologies, you can check the Poultry and Dairy Solutions on our website.